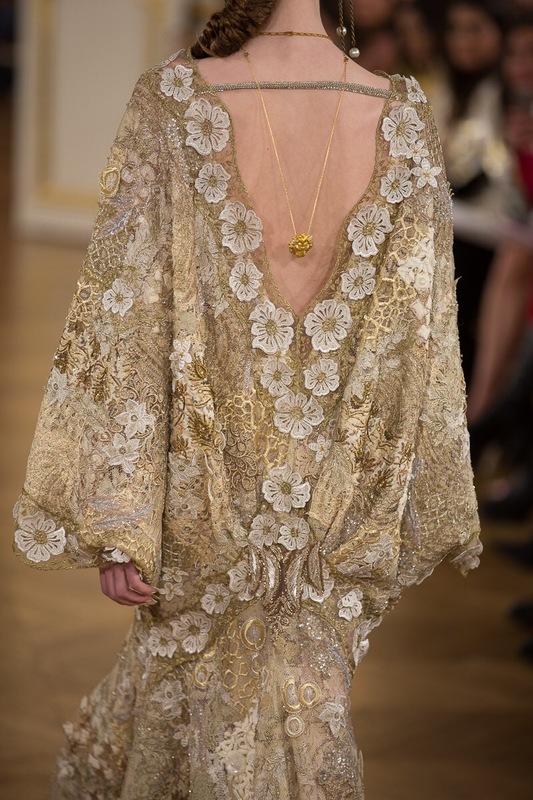 One of the highlights of the fashion year for me is always Haute Couture Paris Fashion Week. This is where imagination meets the finest artisans of the industry. Its never a huge affair by worldwide fashion week standards, which means that I usually manage to see the designers I want to. This season I was surprised by some beautiful new additions to the line-up. Spanish label Yolancris showed for the first time with their SS19 Couture collection ‘Opera Prima’ inspired by Barcelona and Art Nouveau – think medieval princess meets Marie Antoinette, with breathless hats made by Tolentino. Then there was the trend for beautiful body suits which made the legs sparkle. Celia Kritharioti – who normally accessorises looks with encrusted boots – had some beautiful body suits or encrusted tights in her ethereal, dream-like collection. 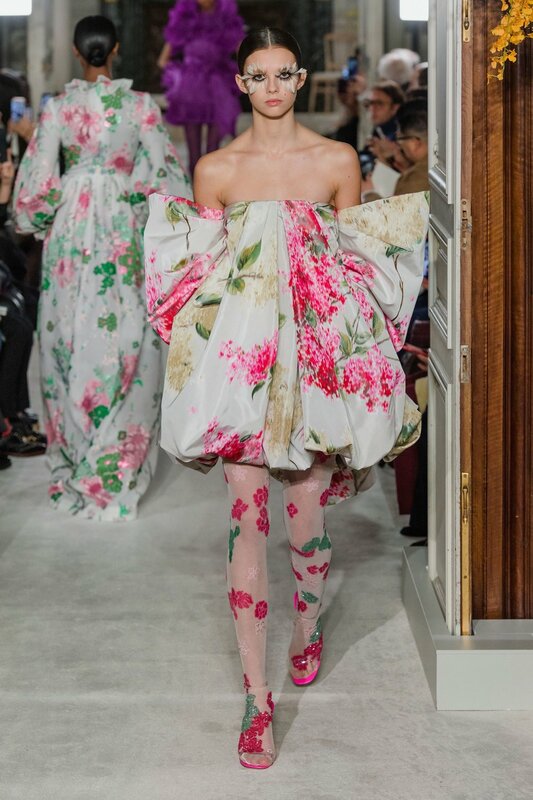 Valentino also had tights that adorned the body with his huge flower theme, in a collection dominated by florals, vibrant block colours and ruffles galore. And with haute couture there come glamour, like the collection by Russian brand Yanina Couture, inspired by the Golden Age of Hollywood and focusing on chic Parisian blacks and soft romantic pinks. Certainly, none of the pieces would look out of place on the Red Carpet! The state of the world was explored in Armine Ohanyan’s collection, which referenced the destruction of the planet through his use of recycled materials, while Victor and Rolf’s latest couture collection entitled ‘Fashion Statements’ echoed the turbulent times of today with loud, bold statements such as “I’m not shy I just don’t like you”, or “Sorry I’m late I didn’t want to come” emblazoned on brightly coloured, oversized gowns. Adeline Ziliox also touched on women’s rights, with a collection for powerful warrior women, with oversized, fiercely pointed shoulders and body armour pieces. Jean Paul Gaultier also featured severe pointed shoulders in his fabulously brightly coloured collection.